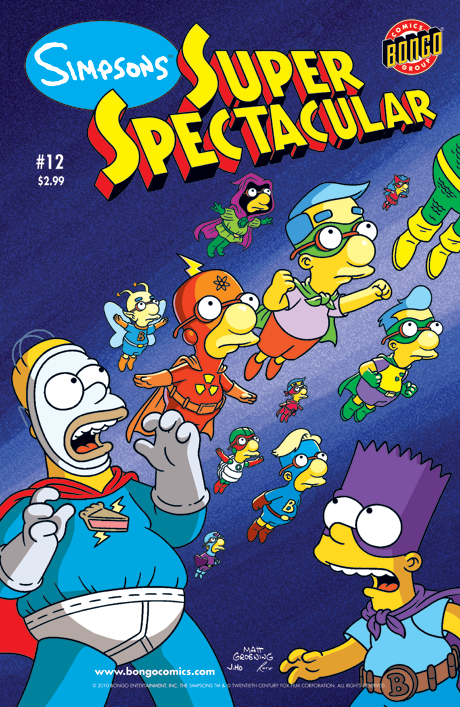 It’s a super spectacular Bartman doubleheader! First, after a run-in with The Brotherhood of Bullies, Bartman is entrusted with Professor Frink’s newest invention, a cell phone that can give its owner superheroic abilities. In the hands of Bartman’s sidekick, however, the device leads to a series of transformations that turn Houseboy (Milhouse) into a very, very, bad boy! Then while visiting Frink Labs, Bart uses the professor’s newest invention to do the family laundry, and soon the genetic material from the clothing melds with Frink’s concoction to create sentient metal creatures that resemble the Simpsons. It's then up to Bartman, along with the Metal Simpsons to clean-up Homer’s latest mess at the nuclear power plant.